The 2019 Ram 1500 Classic is a 6 passenger Automatic transmission, 2 Wheel Drive Standard Pickup Trucks or 4x4 Standard Pickup Trucks. It is available in 7 trim packages, the Big Horn, Express, Lone Star, Lone Star Silver, SLT, Tradesman, and Warlock. 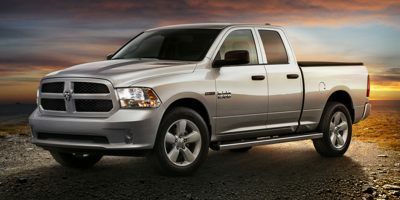 The new Ram 1500 Classic invoice price ranges from $26,360 to $40,891, while MSRP ranges from $27,395 to $43,595. The 2019 Ram 1500 Classic is available in 36 exterior colors, Billet Silver Metallic Clearcoat, Black Clearcoat, Blue Streak Pearlcoat, Bright Green, Bright Red, Bright Silver Metallic Clearcoat, Bright White Clearcoat, Brilliant Black Crystal Pearlcoat, Case IH Red, Construction Yellow, Dark Brown, Delmonico Red Pearlcoat, Detonator Yellow Clearcoat, Diamond Black Crystal Pearlcoat, Flame Red Clearcoat, Granite Crystal Metallic Clearcoat, Hills Green, Hydro Blue Pearlcoat, Ignition Orange Clearcoat, Light Cream, Light Green, Maximum Steel Metallic Clearcoat, Midnight Blue Pearlcoat, National Safety Yellow, New Holland Blue, Omaha Orange, Patriot Blue Pearlcoat, Power Tan, RV Match Walnut Brown Metallic Clearcoat, Robin Egg Blue, School Bus Yellow, Stinger Yellow Clearcoat, Timberline Green Pearlcoat, Tree Green, True Blue Pearlcoat, and Yellow, and 2 interior colors, Diesel Gray/Black, and Lt Frost Beige/Brown.